It has only been a few hours after Apple officially launched the iPad Air and iPad mini and already, the alleged benchmarking scores of one of the tablets have leaked. The only problem is that we cannot determine which model was apparently being tested but since both slates are fueled by the A12 Bionic SoC, it shouldn’t make a significant difference. Other specifications, such as the clock speed and RAM count were revealed too, so let us check out those details while we’re at it. 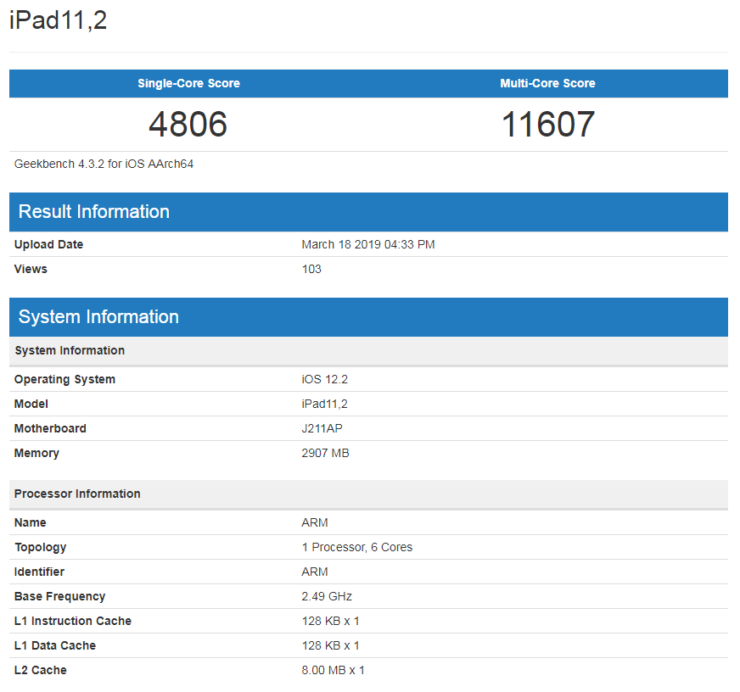 Whether it’s the iPad mini or the iPad Air, the A12 Bionic impresses in both the single and multi-core test results. 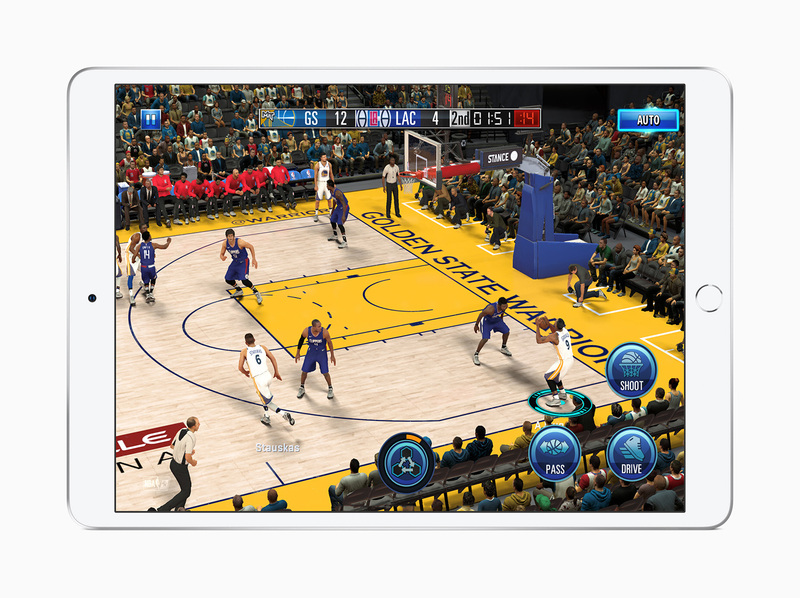 The scores obtained are similar to what the iPhone XR obtained. One reason why we mentioned the iPhone XR and not the iPhone XS or iPhone XS Max is because the cheaper device features the same amount of RAM as detailed in the latest benchmark leak. The iPad model listed is iPad11,2, with the device in question running iOS 12.2 and featuring a processor clock speed of 2.49GHz. Also, it’s worth noting that the RAM count is a whole gigabyte less than what is running in the 2018 iPad Pro lineup, but it is still a whole gigabyte more than last year’s budget-friendly iPad 6, which is fueled by Apple’s A10 Fusion. With these scores, Apple has given its latest non-Pro iPad lineup a serious performance boost while maintaining their cosmetics with the previous-generation models. While that’s not necessarily a bad thing, it does mean the user will lose out on things like Face ID and an attractive design to flaunt over. To recap, Apple’s latest iPad mini starts at $399, while the iPad Air starts at $499, with both of them sporting 64GB of internal memory for their base models. If you want to read about an in-depth comparison between the two products, we recommend checking out our comprehensive specifications, features and pricing bout between the iPad Air, iPad mini, and the iPad 6.